NHS Shetland wants to engage with the public as it draws up its strategy for the future while facing the challenge of maintaining services in the face of sometimes “radical” change. 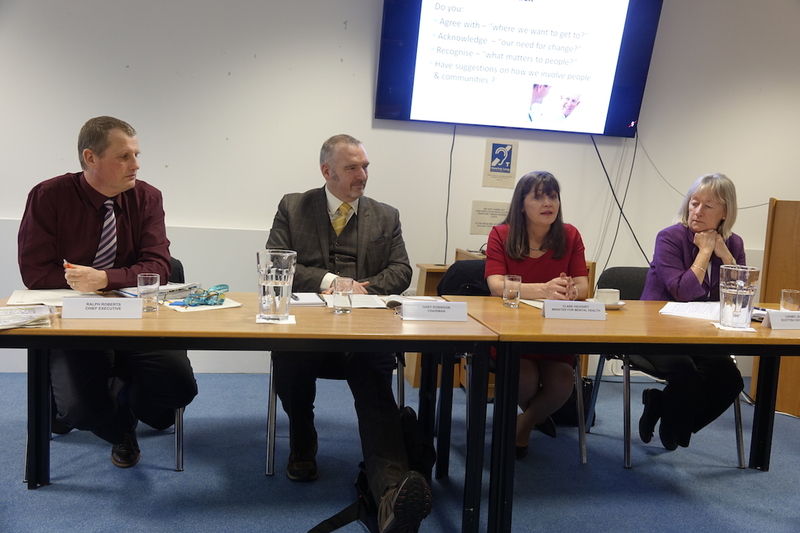 At an annual review meeting chaired by Scottish mental health minister Clare Haughey the chief executive of NHS Shetland Ralph Roberts outlined the need for change or face a future of worsening service given the hard facts of an ageing population. There was a need to move from cure to prevention as the population overall is looking at 10 to 15 years of “poor health” at the end of their lives. In the short term, the move towards “virtual” conferencing has seen the number of video consultations rise from 600 to 1400 last year. He said that Shetlanders were generally healthier than other people in Scotland, but there were certain areas like obesity, alcohol and drug misuse where there is still a lot of work to be done. There was also the ticking time-bomb of demographics that will see the number of old Shetlanders grow faster than in most other areas of Scotland. Integration Joint Board vice-chairman Allison Duncan paid tribute to the “amazing” work of the NHS Shetland staff and that of Aberdeen Royal Infirmary in dealing with his prostate cancer, which will be operated on on 30 January. But he questioned the huge cost of locum doctors to NHS Shetland, contrasting the cost of flying a specialist from France to Scotland at £29 return with the £400 flights from Edinburgh plus accommodation that a locum to Shetland costs. According to Duncan, NHS Shetland shells out £4 million annually on locums and he asked Haughey if the Scottish Government would reimburse Shetland for this exorbitant expense. While the minister made no commitments, Roberts said that he had “positive discussions with the Scottish Government ….to recognise some of the cost pressures we have had in the last year”, including the additional costs of locums in the isles. She highlighted the £20,000 bursary the government offers to any GP moving to a “remote or rural” area as an incentive and also that trainees were being put to the Gilbert Bain Hospital, recognised as an excellent training hospital, where they were more likely to stay after being trained there. She said that schools also had a role to play in encouraging pupils into medicine and that the figures proved that doctors were more likely to remain in their areas of upbringing. Another patient, David Napier, spoke of his very different experience with NHS Shetland and said that he had been waiting over a year to see a consultant for an operation on his foot. He had not even been offered a video consultation, he said, and had raised a complaint as a last gasp attempt to speed procedures. Roberts apologised and said that orthopaedics was one of the areas struggling to meet its targets despite recently hailed advances in the like of hip operations which see some patients treated and discharged the same day. Despite that, Shetland was generally doing well on waiting times compared with most areas, but had three or four specialisms that were under pressure. Member of the public Brian Wishart said that mention of mental health conditions should be removed from journalistic court reports as these infringed the right to privacy and added an extra degree of humiliation to those in front of the sheriff. The law in countries such as Norway had been changed to respect people’s privacy, he said. 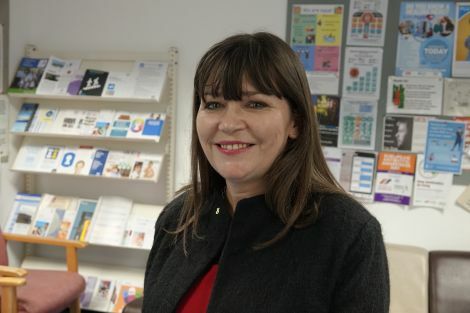 Haughey, who has worked as a mental health nurse, said later that men in particular should be encouraged to open up and quoted the “It’s OK to not be OK” slogan. She was also impressed by local efforts to remove the stigma around mental health. The cost of travel and recruiting and attracting staff had loomed large in discussions with local NHS staff. This then “rolled over” into the added cost of locums. She had been very impressed by an earlier visit to the Independent Living Centre at Gremista as an example of successful health board and local authority integration which could prove exemplary for other IJBs. She was also greatly encouraged by the work that the Shetland health board was doing to recruit staff, including taking on medical and nursing students under a graduate programme. “It is a beautiful place to live and work and bring up your family,” she said.